The 4th of July is considered one of the most celebrated holidays for friends and families to get together. Everyone has different ways of celebrating America’s independence but one tradition that remains the same. The 4th of July is the day to wear your best red, white, and blue apparel. Don’t blend in with this crowd this year so make sure you are representing your country with the best 4th of July shirts! The Fourth of July is usually a hot and humid month so you’ll want to wear something that is lightweight and breezy. 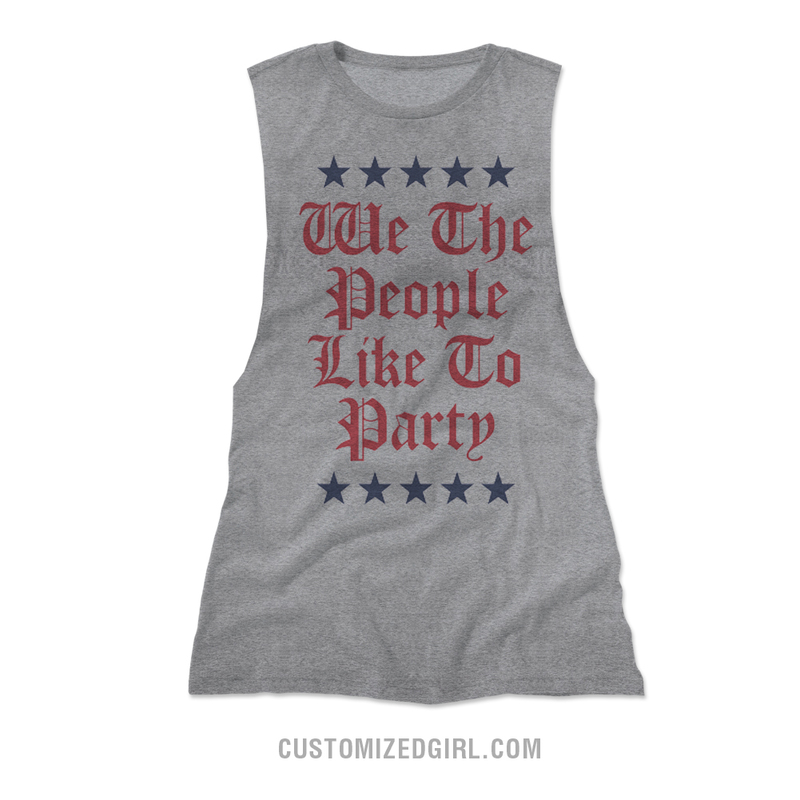 Customized Girl has a huge selection of custom tank tops, crop tops, and even dresses that are ready for you to customize with your favorite patriotic saying or slogan. Planning to spend your holiday on the open water or beach? We’ve got you covered with custom bathing suits. Trucker hats, socks, dog hats – you name it and we’ve got it. With our design center, you can easily customize any design we offer in the gallery or start from scratch. Some of newest additions from our talented designers include trendy flags, patriotic emojis, and partying presidents. Whether your holiday is family friendly or an excuse to party the night away, we have designs for any and all occasions. If you’re looking for some last minute ideas to bring your 4th of July party together make sure to check out our 4th of July Pinterest board. It’s filled with decoration tips and tricks, simple DIY’s, and yummy patriotic food! Yoga has been taking the world by storm and many individuals have incorporated the practice of yoga into their daily routines. For some, yoga is a method to unwind and relieve the stress at the end of the day but for others, yoga is a lifestyle. 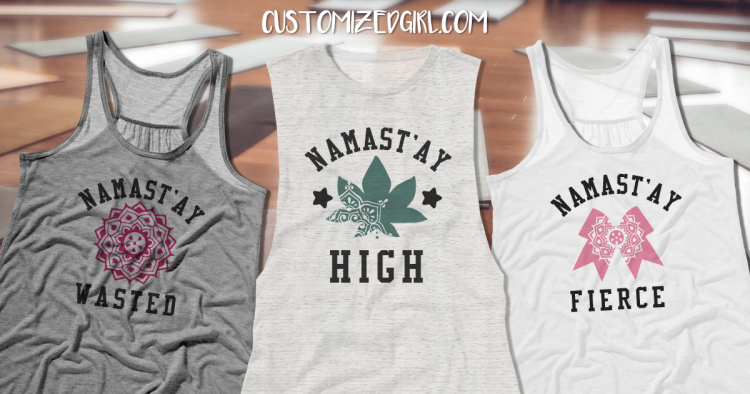 Die hard yogi’s eat, breathe, and represent their love for yoga through their clothing. Now we aren’t talking about your cliche yoga pants. Devoted yogi’s wear the best of the best and the trendiest apparel that gets them noticed while they show off their bendy tricks and flawless handstands. That is why Customized Girl is giving yoga enthusiasts the opportunity to create one of a kind, custom yoga shirts! One of the key phrases used in yoga sessions is, “Namaste.” It is Hindu that roughly translates to “I bow to the divine in you.” It is a core practice of yoga that goes to show a mindset of respect for one another. The term Namaste has a great meaning in the yoga world but leave it to social media to take this phrase to another level. Now you can’t search anywhere online without seeing the catchy “namast’ay” slogan on a variety of products. 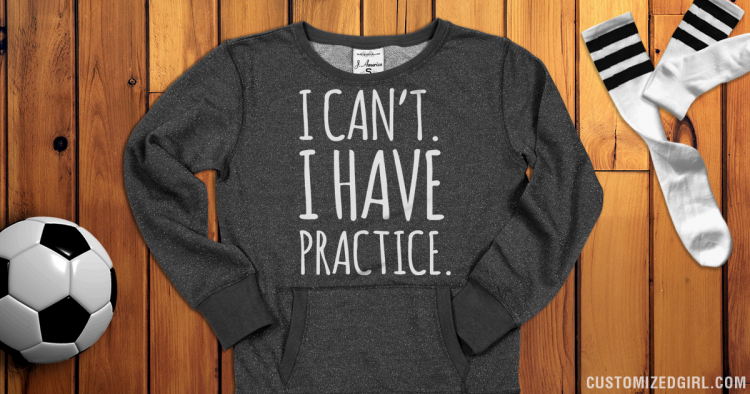 The best part of this amazing saying is that it can be customized for any hobby or sport. 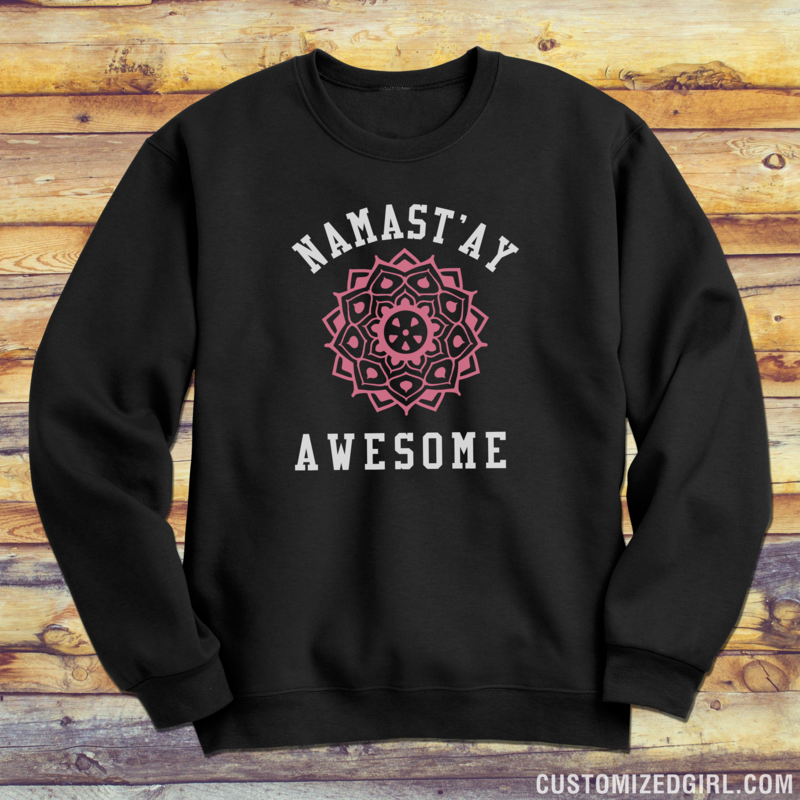 If you’re looking to dazzle your fellow yogi’s not only with your sick flows then make sure to check out all of our amazing Namast’ay yoga shirts! Everyone knows the saying that anyone can be a father but it takes a man to be a dad so it can be quite a challenge to find a gift that truly show how much they mean to you. We’re talking about the guy who taught you to throw a ball, has given you the best advice, and more than likely his name was the first word to come out of your month. Well, maybe the second. 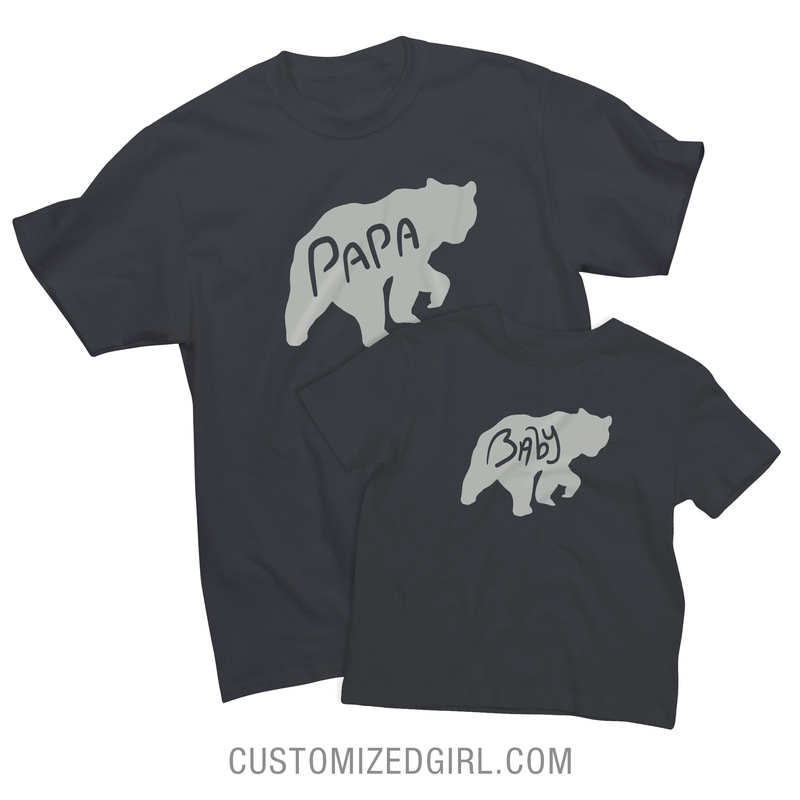 That is why Customized Girl has created a gallery full of matching father son and father daughter shirts that would be a perfect gift for any Dad. New and experienced Dad’s want a gift from their children that emulate their relationship. 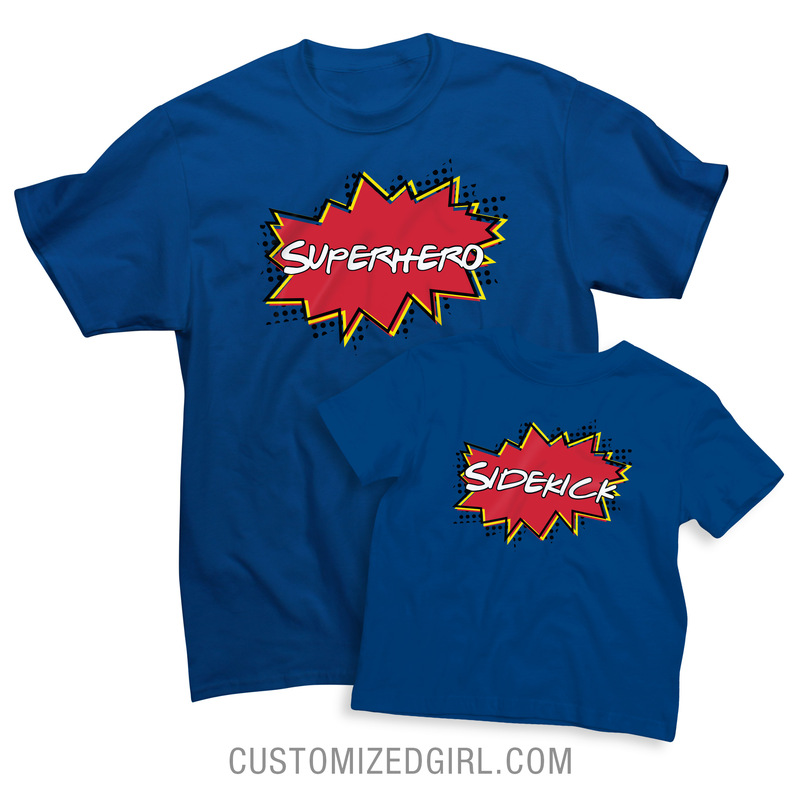 Choose a design combo from our gallery for dad and his little one that reflect their personalities. 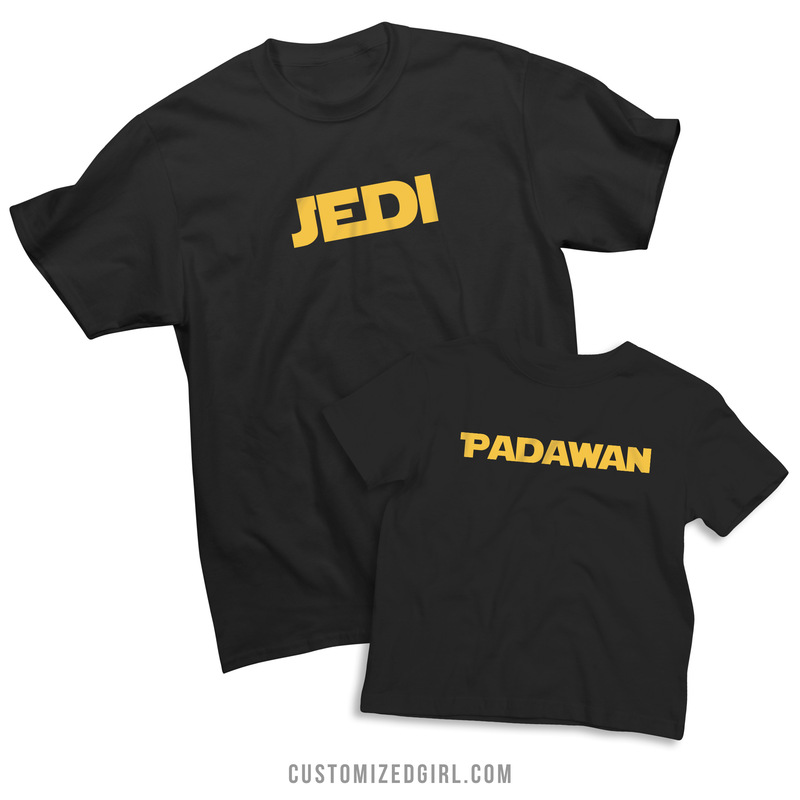 We have designs for sci-fi lovers, outdoors men, and the sports fanatic. All of our designs have the ability to be customized which means you can easily swap out the design onto any style of clothing. 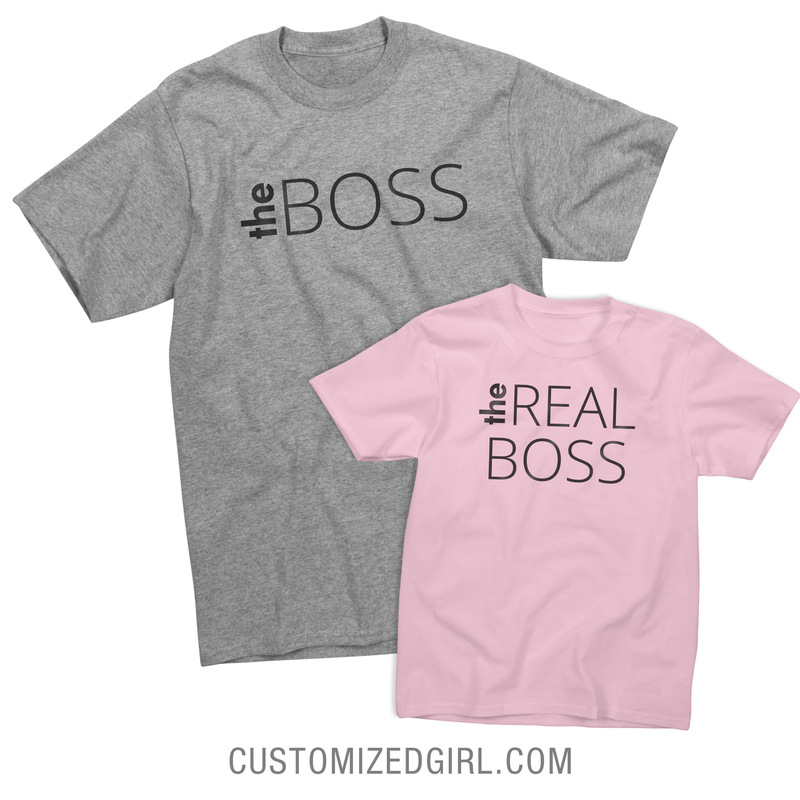 This is ideal if your little one is a newborn, a toddler, or preteen because Customized Girl offers a variety of custom youth apparel. Take a look at all of our matching father son and father daughter shirts and let us know which design is your favorite for Dad! Growing up and playing a sport is a part of life that most individuals take part in. One of the most popular sports that almost everyone participates in at one point of their life is soccer. Drills and endless hours of conditioning come hand in hand with soccer but everyone knows it is all about the swag. Representing your team in head to toe gear is essential when you play soccer. 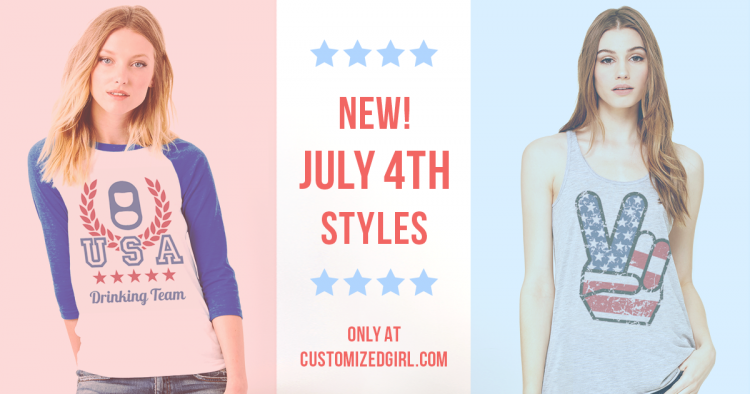 Customized Girl wants to help you stand out on and off the field with custom soccer apparel! Our gallery contains endless design options to choose from – all you have to do is customize the name, number, and school colors. Or simply create your own unique design from scratch with your team logo or special fundraising event. Customized Girl has specialized designs on tees, tanks, and sweatshirts but we also offer custom socks and custom bags that you can easily create matching designs on each item. But why not take a different twist from the classic name and number design and create matching designs with your teammates that include your position and a popular saying or slogan from your graduating year. Better yet be ridiculously trendy with sayings like Kiss My Cleats and Soccer Is My Boyfriend and create one a kind designs that you won’t see anywhere else! 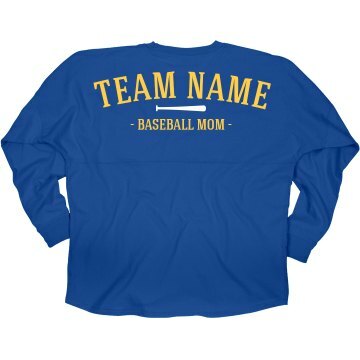 We even have designs for all the whole family to help cheer on your favorite player. Soccer mom shirts are always a big hit but it’s simple enough to swap out any of our designs and add dad or grandpa to your favorite shirt. 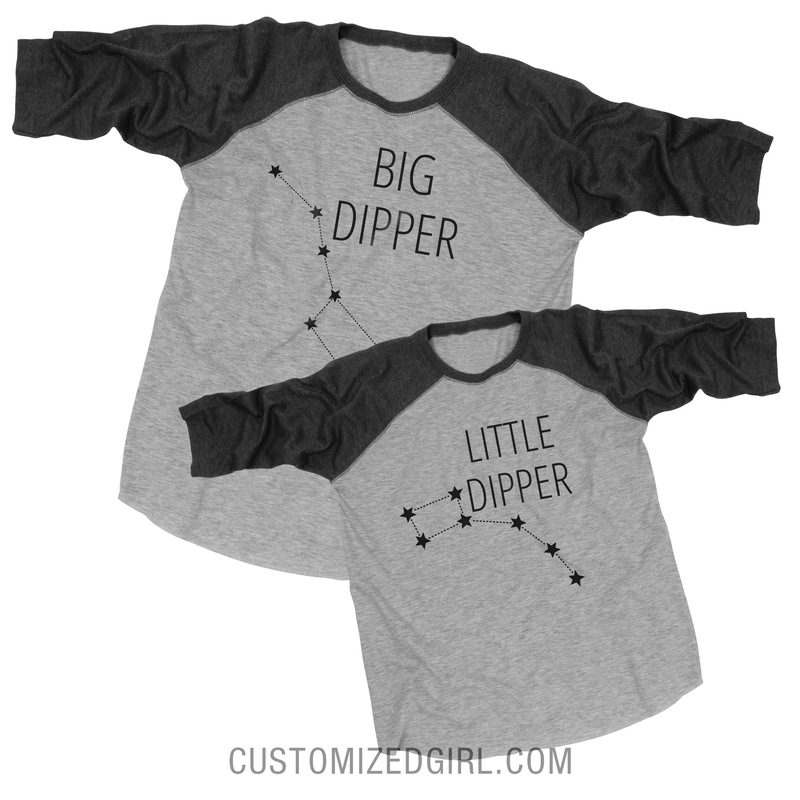 You can even create a whole fan club of matching designs for mom, dad, grandpa, your baby brother, and even your dog! Custom soccer shirts are great gifts for your player and even for everyone in the family. Looking for ways to raise funds for your soccer team? 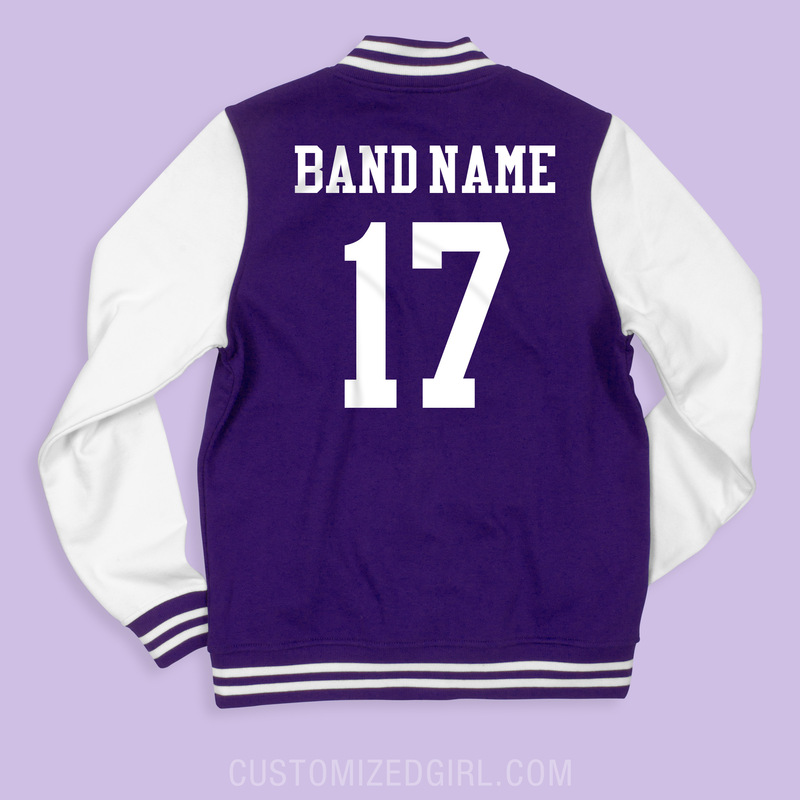 Create a Customized Girl storefront where you can add all of your trendy high school designs with logos and earn royalties for every design you sell. Customized Girl takes care of the ordering, billing, and shipping. Learn more about how Customized Girl storefronts can help you raise funds this soccer season. Today is National Nurses Day and is the official kickoff of National Nurses Week. This week focuses attention on the many ways America’s 3.1 million registered nurses work to save lives and improve the health of millions of individuals. We all know that being a nurse is one of the hardest jobs that an individual can study for and make as a career. A lot of time, knowledge, and devotion are contributing factors to what make a great nurse. 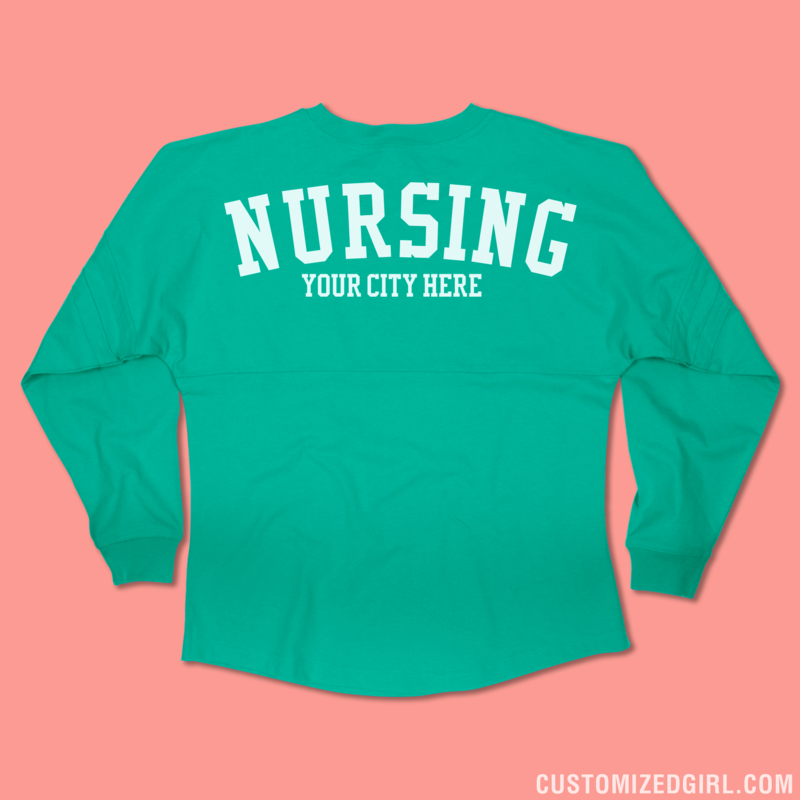 Customized Girl wants to honor and celebrate all of the amazing things nurses do with custom nursing shirts! To say that nurses work hard is an understatement. During this week of appreciation, goodies and freebies are presented to hard working nurses. So why not make this week one they will never forget by showing appreciation with a custom nurses shirt? 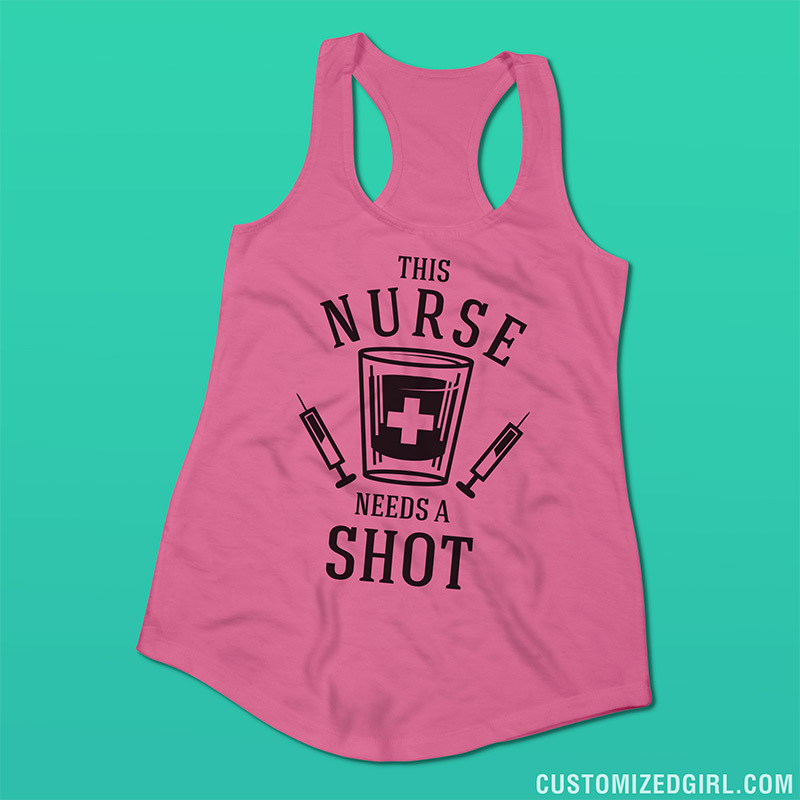 Customized Girl has a gallery full of simple, cute, and hilarious designs that will surely make your special nurse feel acknowledged for all that he or she does. Take any design from our gallery and customize it by including meaningful sayings or slogans or a funny inside joke. Maybe a shirt, tank top, or sweatshirt just isn’t their style. Nurses almost always have to wear their fashionable scrubs anyways. With our easy to use design center you can swap any design onto any product. 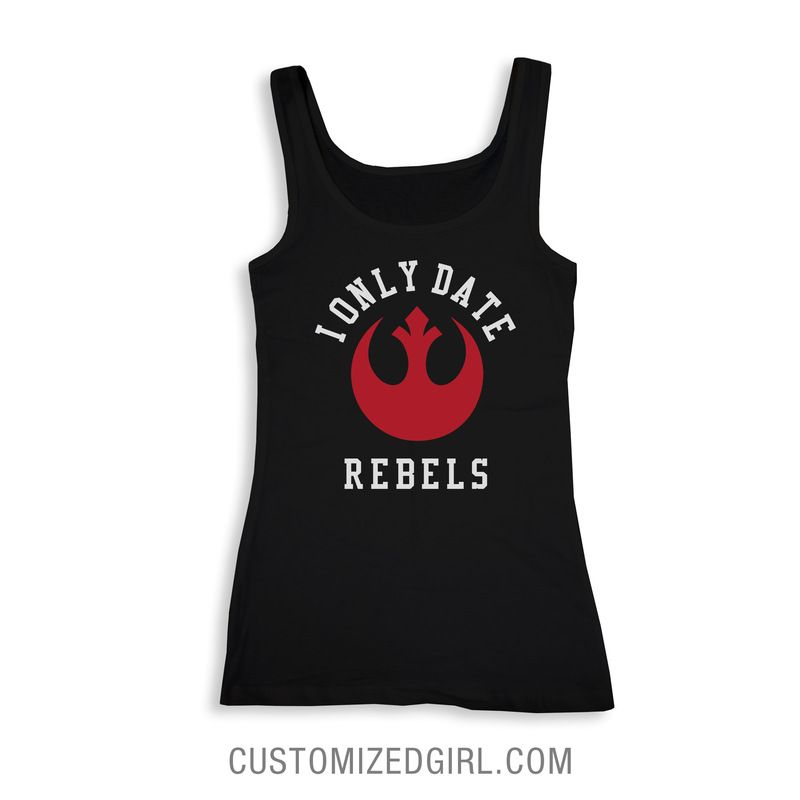 Customize a shirt design and effortlessly substitute it onto a phone case or tote bag. Make sure to thank a nurse today or buy them an extra shot. Remember, safety first drink with a nurse. Happy National Nurses week! Growing up and going to school goes hand in hand. It’s a unique and memorable part of life that every individual has to go through and for most, either you love it or hate it. Whether you want to admit it or not, high school is a period of ups and downs that you will look back and reflect on. 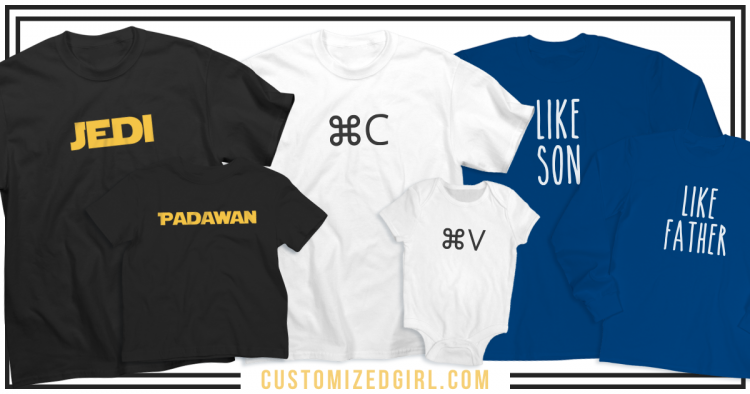 Customized Girl wants to help brighten up your school experiences with custom apparel. When other students ask where you got your awesome backpack or amazing tee, you can say that you designed it all by yourself. Be an innovator, fashionista, or a statement maker – that is what makes high school so great. 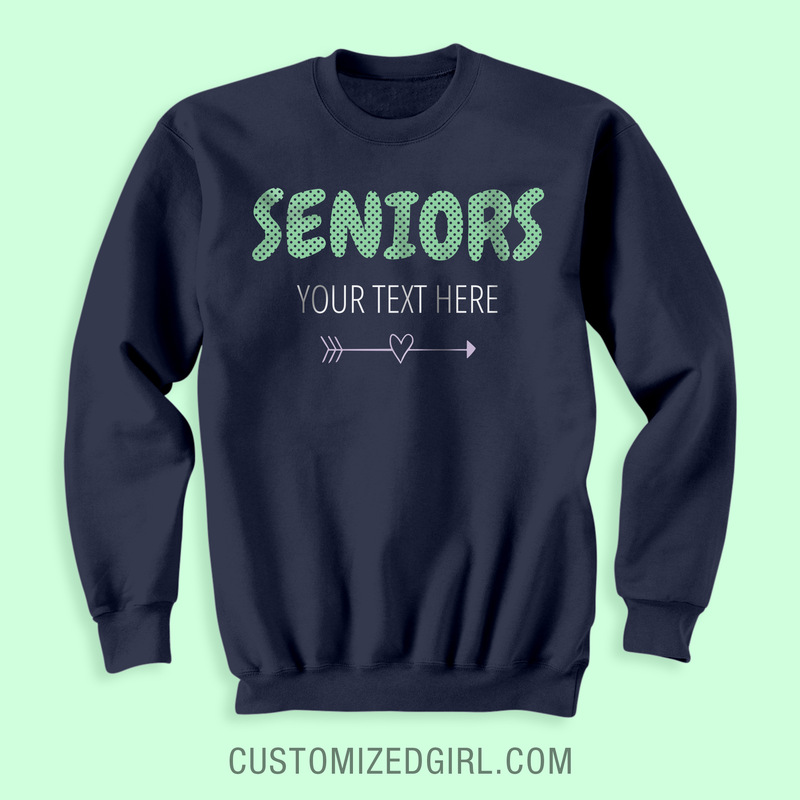 Discover your path and make your voice be heard with your own custom apparel for high school! 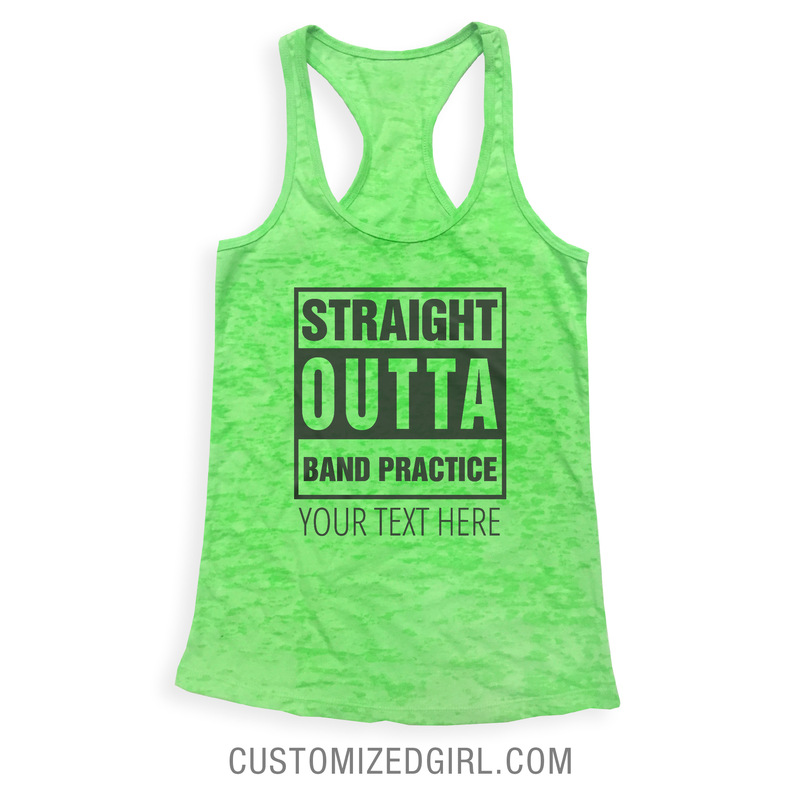 Customized Girl has everything you to need to get ready for the school year but to rock it out with confidence. And we mean everything, we mean everything from marching band gear, promposal bears for prom, and even custom gifts for your teacher. Our galleries have a plethora of designs that range from simplistic to the most intricate to give the customer as many options as possible. Better yet, start from scratch! Add dates, names, school colors – as the designer every decision is up to you. That’s not even the best part! 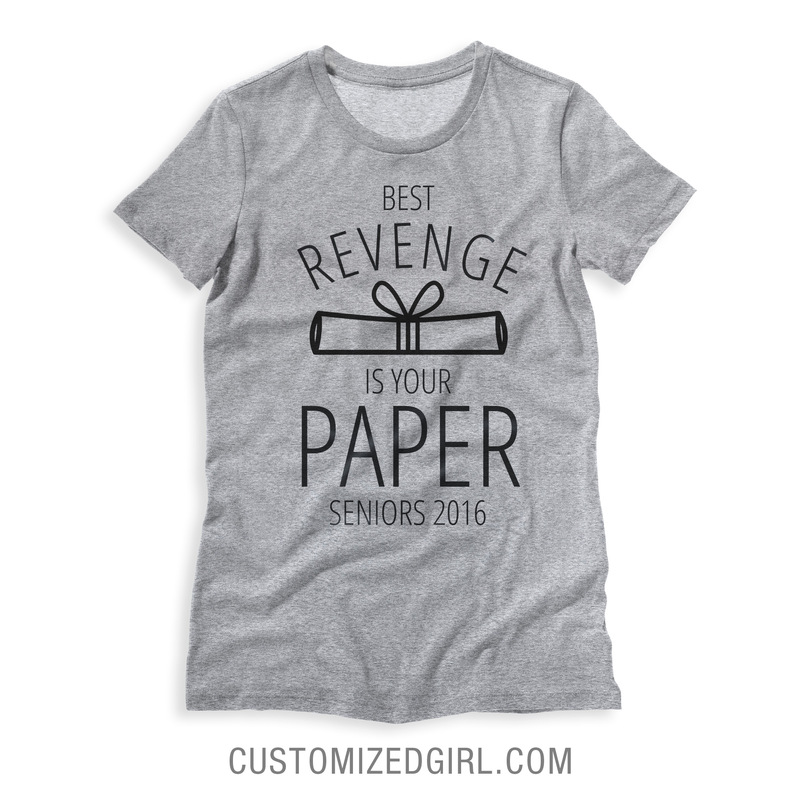 We offer the trendiest brands that include American Apparel and Alternative Apparel that are ideal for senior shirts to wear all year long or a one of a kind design for that last themed spirit day. You can even design a custom varsity jacket to highlight your graduating year or school’s mascot. Take any concept and create matching designs across multiple accessories with backpacks, hats, and socks and be decked out in school spirit from head to toe. Customized Girl even offers fundraising tools for schools and sport teams. Open a custom apparel storefront by adding your school or team logo to any product and earn royalties for every design you sell!